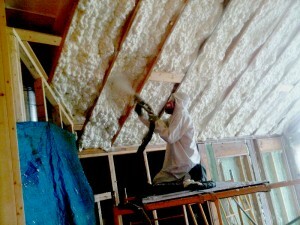 Today, standard insulation doesn’t provide the energy efficiency or protection that most homes need. That’s where our Sealite™ comes in: it’s an excellent choice for new construction, as well as for renovations of older buildings. 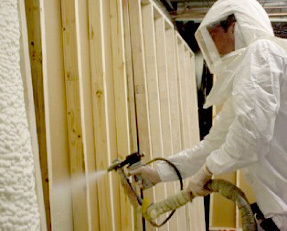 This open-cell spray foam insulation technology increases the life span and overall comfort of any building, and provides an incredible value due to its money-saving energy efficiency. Sprayed in place by specially trained and experienced GoldStar contractors, Sealite™ is a two-part liquid that seals the building against air infiltration and the pollutants, pollen, and dust that could otherwise come inside through fiber-based insulations. The liquid mixture expands quickly to fill all gaps and voids in the building’s exterior envelope, forming a fully adhered, solid, monolithic cellular insulation membrane that also provides an invisible buffer from unwanted noise pollution.